Welcome to Dowell PTA's new online portal! Before getting started, please click the "Register" block below to create a Membership ToolKit account. Don't miss this fun annual event! 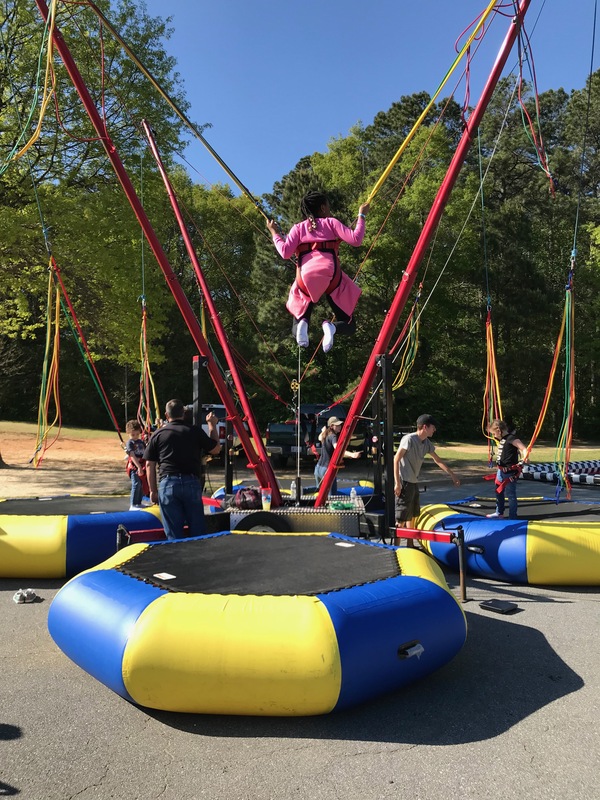 Attractions include Bungee Jump, Dual Hoop Shot, Bounce Houses, Radical Run Obstacle Course, Hamster Balls, Alien Blaster, Floating T-Ball, classic carnival games and more! Purchase wristbands for access to all attractions and carnival games! Click here to pre-order online. Or download a paper form here. Come out and have fun with your friends before school ends! Food and drinks will also be available for cash purchase (pizza, chips, soda, water). First-come, first-serve. New this year! We are offering vendor space (for non-food items). If you have a business or service that would appeal to children/families, come out and join us! The cost to reserve space is just $25. First come, first serve. Click here for a vendor reservation form. It’s not too late to pre-order your 2018-19 Dowell Yearbook! Skip the line at the end of the year and have your book delivered to your classroom! and return to PTA mailbox in the lobby with payment by Tuesday, April 30th. By joining Dowell PTA, you help us meet our school's needs that are outside the scope of their budget. You also get great discounts, locally and nationally. When you go a step further and volunteer to help with events—or join our board— you set a fine example for our students to follow, and greatly encourage our teachers and staff.